Town League for K-2 - BSA offers Spring and Fall co-ed soccer for K, 1st and 2nd graders who live or attend school in Belmont. Each season about 700 people -- players, volunteer administrators, volunteer coaches and assistant coaches, and middle school referees - are involved in the K-2 league. We're often a child's introduction to organized sports. Through soccer and the instruction of basic soccer skills, we hope to build kids' self-esteem by introducing them to the joy of playing on a team and reinforcing the principles of good sportsmanship. All teams play on Saturdays at Winn-Brook Elementary School fields. Games start at either 8:30am, 9:45am or 11:00am. Practice days and times are at the discretion of the volunteer coaches and families can expect one practice session per week. 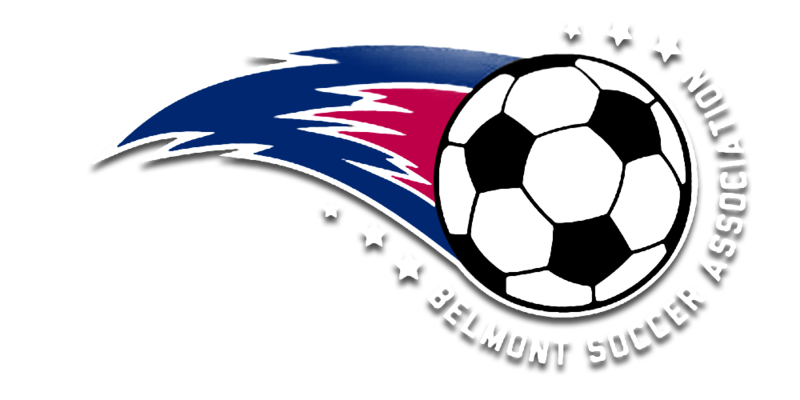 Town League for Grades 3 and 4 – Evenly balanced teams playing 7v7 games on Saturdays afternoons - all games played in Belmont. Typically one practice per week. All 3rd graders play Town League exclusively. Town League for Grades 5 through 8 (co-ed) – BSA offers in-town soccer for 5th through 8th grade. This is an 8 week program with evenly balanced and small teams playing games on Saturday during the late afternoons – all games played in Belmont. There will be no separate practices for the 5 - 8 grade co-ed town league. Travel team players interested in participating in this town league program should contact Melissa Hart. Charge for this program is $75. Players who do not do placements in the spring for the following Fall or Spring will not be placed on a Division 1 or 2 team – usually our top two teams. Their team placement will be based on their previous coaches input if available. Otherwise they will most likely be placed one of our 2 lower teams for one season, with the possibility to move up if they were misplaced. Fall and Spring soccer for 9th-12th graders. BSA offers programs for 9th -12th graders in both the Fall and Spring season. Click here for additional information.